TYA/USA wants your help in publishing a new play anthology focused on anti-bullying through student voices from across the US. “Tell your story.” This is how art starts. “Listen to each other’s stories.” This is what makes us human. We all have stories to tell, and a sea of ways to tell them. By sharing and experiencing our stories, we can find comfort in seeing ourselves reflected; we can find solutions to some of life’s tough problems; we can find the error in our ways. If you have a room full of people, you have an anthology. If you have a nation full of young voices rallying around something meaningful to them, you have a particularly compelling anthology. 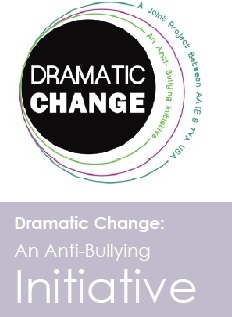 Theatre for Young Audiences/USA is asking for your help in publishing an anthology of new plays devoted to anti-bullying through the voices of middle school students from across the country participating in our Young Playwrights for Change program. As a theatre arts organization, we are poised to promote this youth voice through the storytelling form we are most passionate about. This voice is vital to both the theatre and to the issues it chooses to rally behind. Our goal for this anthology is that it will become a vital tool for classrooms, libraries, and individuals in combating bullying and inspiring further writing and art making. We hope the collection will enjoy a long life of inspiration, creativity, and social change. The sale of the anthology will help sustain the Young Playwrights for Change program as we look to future projects and topics. TYA/USA and its sister organization, American Alliance for Theatre & Education (AATE), are launching a nationwide playwriting contest for middle school students focused on giving voice to our nation’s young writers. The regional contests will be held this winter. The project looks to harness the creativity of young playwrights and bring focus to real world issues. The mission of Young Playwrights for Change and its umbrella program,Dramatic Change, is to take a topic, and spark meaningful conversations and discussion throughout classrooms, schools, and communities that will ripple across our nation to provoke change. What theatre organizations are participating? Alliance Theatre – Atlanta, Georgia; Childsplay and Rising Youth Theatre – Tempe, Arizona; DreamWrights Youth & Family Theatre – York, Pennsylvania; Fort Lauderdale Children’s Theatre – Fort Lauderdale, Florida; Hartford Stage Company – Hartford, Connecticut; Honolulu Theatre for Youth – Honolulu, Hawaii; Houston Independent School District – Houston, Texas; Kaiser Permanente – Englewood, Colorado; Lexington Children’s Theatre – Lexington, Kentucky; Metro Theater Company – St. Louis, Missouri;Miss Jess Co. – Austin, Texas; Noorda Theatre Center for Children and Youth at Utah Valley University – Orem, Utah; Omaha Theater Company for Young People – Omaha, Nebraska; Oregon Children’s Theatre – Portland, Oregon; The Palo Alto Children’s Theatre – Palo Alto, California; Seattle Children’s Theatre – Seattle, Washington; TADA! Youth Theater – New York, New York; University of Texas Austin – Austin, Texas; Yocum Institute for Arts Organization – Wyomissing, Pennsylvania. So please contribute to this kickstarter program and help support this program AND please help us spread the word. Previous PostYoung Playwrights for Change: Deadline for Registering your Regional Competition is Oct 1! Next PostYoung Playwrights for Change: Year Two. Don’t Miss Out This Time!